I received the following in the form of a newsletter from the Book Chon law firm in South Korea. I get a lot of newsletters and alerts, and don’t hardly ever reprint them. Plus, with few exceptions, I leave the Korea trademark law firm beat to others. But the issues in this case involving the MAGIC SCHOOL BUS trademark seemed interesting, and consonant with the sort of things readers of this blog are interested in — in particular, the use of literary titles as trademarks, and assertion of a pretty darned descriptive / generic phrase — here, SCHOOL BUS — as a trademark. Interestingly, here the overreaching rejected by the Korean court ran in the direction opposite of what I would have expected. So with the permission of the firm’s Kyung Jae Park, my colleague in the New York bar, I have reprinted the item as a guest post. It appears that in this case, SCHOOL BUS was not only the plaintiff’s book title but a registered trademark, evidently in connection with the book, but that the preexisting fame of Scholastic’s Magic School Bus book series (the subject of the lawsuit), including international fame, precluded the claim by the plaintiff. MAGIC SCHOOL BUS, of course, is a registered trademark too, being not merely a book but — as parents know — a way of life. While under Grimaldi book titles are not usually protectible as trademarks, as lawyer Lloyd Jassin explains,”Generally, titles of works that are part of an ongoing series are protected under trademark and unfair competition law. . . . Once a series has been established, each work in the series reinforces that it comes from the same source as the others.” This issue is addressed in the last section of the post. Book Chon is of course entitled to the full plug in return for providing me with a fine substantive post today. So you should know that the firm provides a number of legal services in Korea including filing and prosecuting patent and trademark applications with the Korean Intellectual Property Office, and suits and complaints with Korean courts and public prosecutor’s offices. Representative Attorney at Law Kyung Jae Park, member of the Korea, New York and Pennsylvania bar, graduated from the Law School of Seoul National University in Korea, University of Pennsylvania Law School (LLM) and Chicago-Kent College of Law (JD) in America. The firm is located at 177-10 Gahoe-dong, Jongro-gu, Seoul 110-260, Korea, so do drop in if you’re in the neighborhood. You can email attorney Park : [email protected]. The firm’s website, again, is www.bookchon.co.kr. The Seoul Central District Court rules that the trademark “The Magic School Bus” of SCHOLASTIC INC. in America is different from “School Bus” of DAE GYO CO., LTD. in Korea. Uncharacteristically, Miss Frizzle could not be reached for comment. We would like to share a decision of the Korean court on a trademark infringement case. The plaintiff was a Korean company while the defendant was an American one. Although the decision was made by a district court (the Seoul Central District Court), we believe the decision has a significant meaning and thus offer this special report in the hopes that will help you better understand the Korean trademark practice. The Seoul Central District Court rejected an action for trademark infringement (Case No. 2009 GAHAP 138319) filed by a Korean company, DAE GYO CO., LTD. (“plaintiff”) against SCHOLASTIC INC., an American company, and BIRYONGSO CO., LTD., a Korean company, “defendants”) on November 26, 2010. The basis of the rejection was that the defendants did not infringe the trademark rights of the plaintiff. SCHOLASTIC INC. sold The Magic School Bus, a series of scientific picture books for children, in Korea through a Korean company, BIRYONGSO CO., LTD., as the exclusive distributor of the book. The plaintiff filed an action against the defendants with the court on December 7, 2009 on the grounds that the title of SCHOLASTIC INC.’s The Magic School Bus infringed the rights of its registered trademark SCHOOL BUS, the title of plaintiff’s book. By 2007, the Defendant SCHOLASTIC INC. had sold approximately 53,000,000 copies of books in The Magic School Bus series worldwide since it was first published. 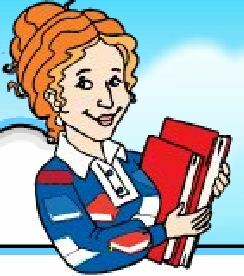 The Magic School Bus received various awards in the areas of TV, publication and CD-ROM, including 10 Best Books for Children by PARENTING magazine and Book of the Year for 2006 by Booklinks. THE MAGIC SCHOOL BUS was registered as a trademark in many countries outside of Korea, including the United States. The Magic School Bus was broadcast in animated form by several broadcasting companies in Korea since 1997 by the Educational Broadcasting System, an educational television and radio network in Korea. The Magic School Bus was reported as a million seller for the 21st century alongside the Harry Potter series by domestic newspapers. Considering the evidence, the court established that the defendants’ THE MAGIC SCHOOL BUS mark was well-known among consumers in both foreign countries and in Korea. [Korea seems to be “ahead” of the U.S. in considering the strength of domestic trademark rights based on international fame, i.e., the “famous marks doctrine,” at least in the Second Circuit — RDC.] The court determined, therefore, that the defendants’ THE MAGIC SCHOOL BUS, considered as a trademark and viewed as a whole, should be compared with the plaintiff’s SCHOOL BUS as to their similarity, and the SCHOOL BUS portion of THE MAGIC SCHOOL BUS should not be separated from the rest of the mark for comparison purposes. The court also found that the plaintiff’s SCHOOL BUS is not similar to defendants’ THE MAGIC SCHOOL BUS in terms of appearance, pronunciation or meaning. Evaluating the similarity of the trademarks between the two parties as a whole, the court stated that the two trademarks were different in terms of appearance and pronunciation because the trademarks contained a different number of syllables. The court also stated that the trademarks were different in terms of meaning because the defendants’ THE MAGIC SCHOOL BUS had the intention of stimulating the interests of children by exploring principles of science while taking field trips to impossible locations like the inside of a body, the past and outer space with the help of a magical school bus whereas the plaintiff’s SCHOOL BUS had the meaning of a simple school bus. In conclusion, because the two trademarks were not similar to each other in terms of appearance, pronunciation or meaning, the defendants’ THE MAGIC SCHOOL BUS did not infringe the trademark rights of the plaintiff’s SCHOOL BUS. The court identified an additional reason for denying the demands of the plaintiff’s action. It stated that the title of the book could be used freely in principle by anyone even though the title was registered as a trademark. Therefore, the trademark rights of the Plaintiff’s School Bus as a title of its book should not affect the defendants’ use of The Magic School Bus as a title of its book. As a result, the defendants’ THE MAGIC SCHOOL BUS did not infringe the trademark rights of the plaintiff’s SCHOOL BUS. In conclusion, the above decision shows that: 1) Even if a trademark is a foreign one, it shall be acknowledged if it is well-known in Korea. And such a case, the trademark shall be compared with the other trademarks as a whole when determining the similarity of the two marks; and 2) The trademark rights to the title of a book does not affect in principle the other party’s right to use a trademark in a title of another book. Plaintiff has appealed the case to the Seoul High Court. We do not, however, expect that the above decision will be reversed.